Hi there! It's time for another Club Scrap Artist Team challenge blog hop! You should have just come from Hetty's blog on the hop. This month the Artist Team was given inspiration from a recent project from Tricia for the Adirondacks Blog Hop and Linky Party where she used one sheet of paper and created dimension with stamps, stencils and ink. 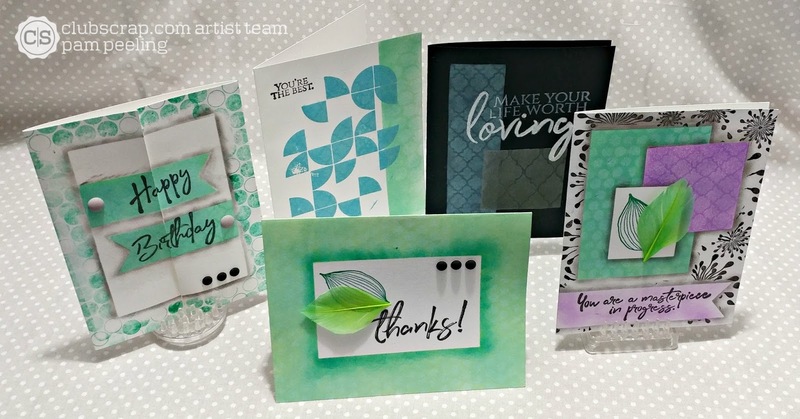 I used the Club Scrap Pattern Play collection to create 5 cards. This challenge was harder than I expected! You have to risk it and stamp the sentiment right on the card! No mattes, or die cuts to cover a mistake! Yes, this is just one piece of paper! The green feather is also from the Pattern Play collection. 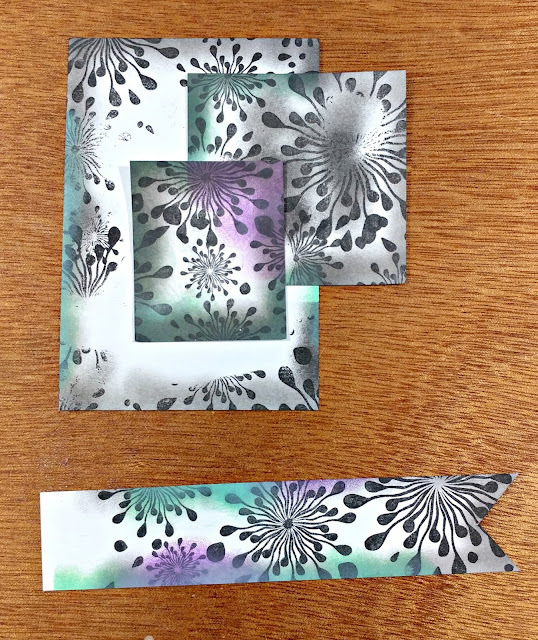 I started by cutting squares from scrap card stock. 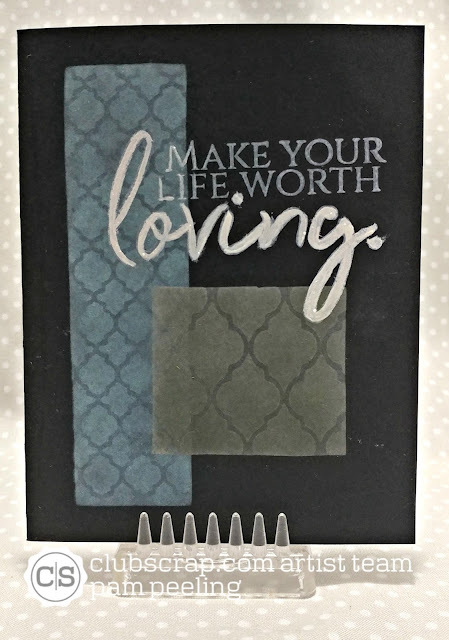 I stacked them in the pattern I wanted, placed them and the banner shape for the sentiment and stamped over all of it with an image from the pattern play unmounted rubber stamps. This created the void for the squares and the background for the card. 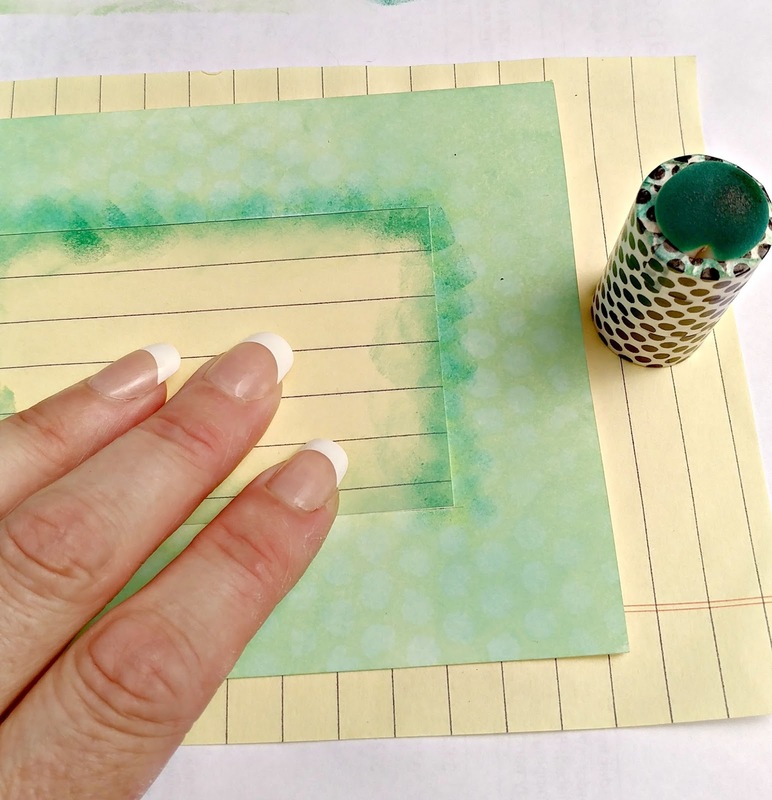 Then I daubed Distress Oxides in various colors, covered with a stencil and spritzed with water to create the pattern. 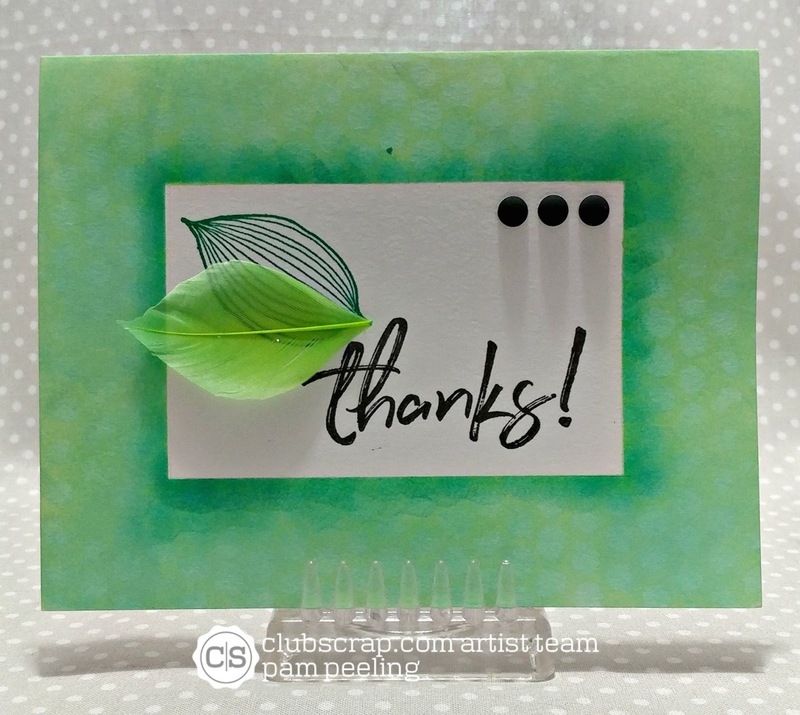 Love those oxide inks and their magical properties!! Then I daubed black ink very lightly along the edges to create the "shadow" and the illusion of multiple mattes and the banner. Again I used Distress Oxides and a stencil to create the frame. Daubed ink along the edge to create the shadow. 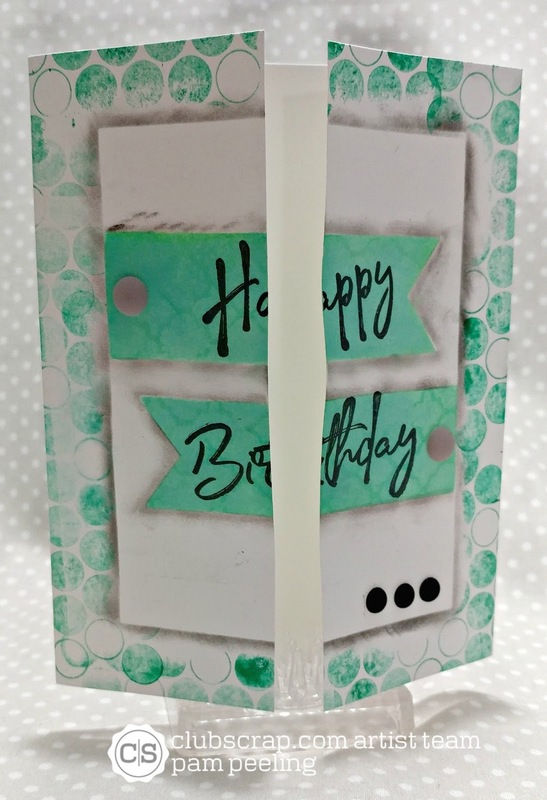 For this gate fold card I created the illusion of a center matte and banners that go across the opening. The enamel dots are also from Pattern Play and come in 3 colors and sizes and have a matte textured finish. I cut masks from scrap card stock and daubed in the colors and shadows again. 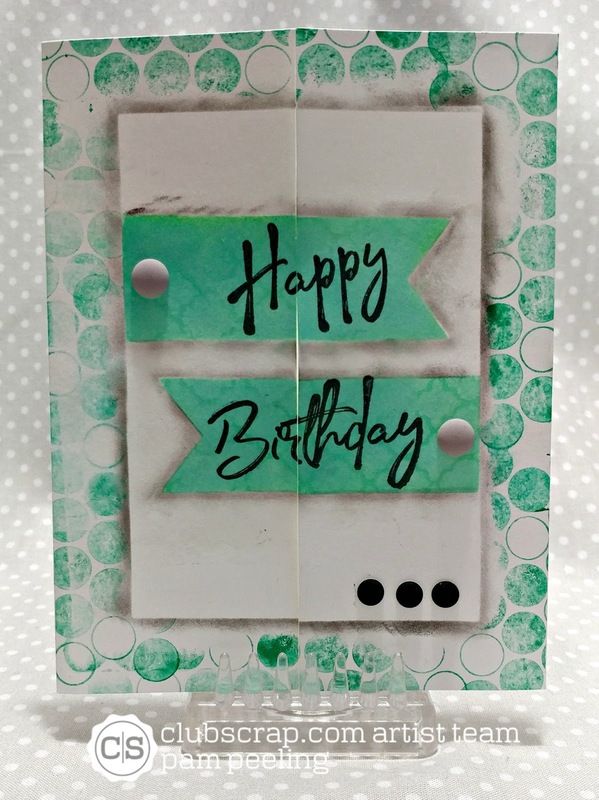 I love the Distress Oxides work on black card stock too! For this I daubed on the color and spritzed with water without a stencil to change the color. Then I went back in and daubed the same color through a stencil but didn't spray with water again. 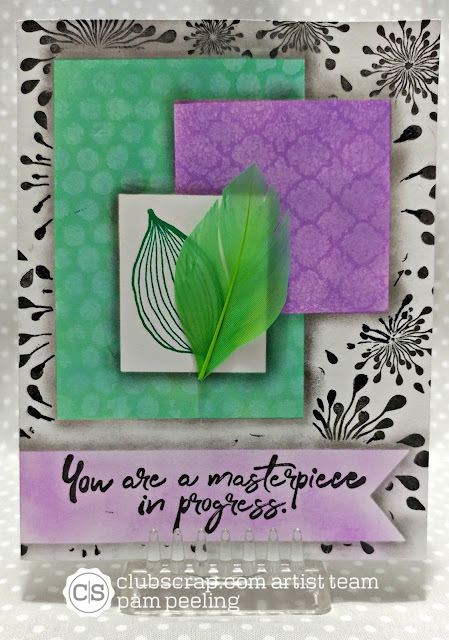 This challenge was perfect for the Distress Oxides/stencil technique! I used it on every card!! I really enjoyed this challenge because it was just that-challenging! I really had to think about how I was going to do each card. There isn't a lot of margin for error when you're using only 1 sheet of paper! 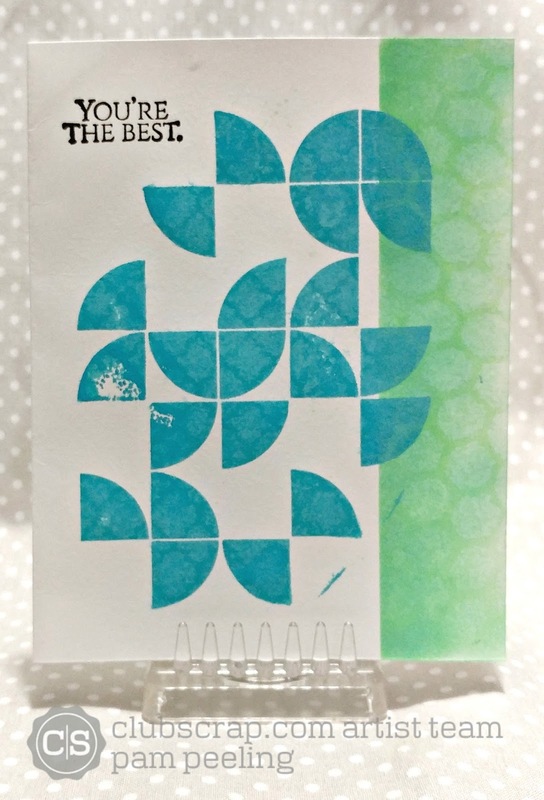 Hop along to Roni's blog to see what one sheet wonder she made! Pam, I am so impressed with your faux layering! The shading is so well done, the blocks look like real layers of paper! Terrific job on this challenge! Your faux mats are truly and amazingly realistic! Great job! Wow! I had to keep going back to your images to really see they were one layer. Fabulous shading to give the look of dimension. WOW WOW WOW - it really is amazing how much it looks like there is different paper or layers...excellent work!!! My favorite is the first card. It legit looks like there are layers! Fantastic! Those cards are amazing! So one-layer dimensional! These are such beautiful examples of the one-layer technique, pam!! Love these!